After the critical success of the first album, producer Jayson Napolitano teams up again with GENTLE LOVE for a second round of relaxing game music arrangements in Prescription for Sleep: Game Music Lullabies Volume II. 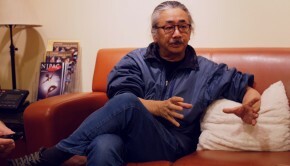 As before, tracks from various games have been arranged for the GENTLE LOVE duo, composed of Norihiko Hibino on saxophone and AYAKI on piano. The arrangements are all sizeable, ranging from 5 to 8 minutes. That shouldn’t suggest that things drag on this album, since in reality the arrangements are constantly shifting thanks to the duo’s expert jazzy improvisations. The result is another satisfying album that can help with sleep, while also providing an entertaining experience in other contexts. The album opens with two soft arrangements. Although the previous album had a few moments of embellishments that might have taken some listeners outside of sleep territory, this second album is much more careful in its cohesiveness. That is not to say that flourishes are not there, but they are more controlled and tempered. The opening “Kids Run Through the City Corner” from Final Fantasy VI was relaxing to begin with. Here AYAKI’s piano mainly keeps the simple rhythm of the piece constant, while Hibino on saxophone introduces the melody, then improvises off of it. More so than in many of the other tracks, there is a real sense that the duo is serenading you personally; the sound is intimate and emotional, making it very easy to get lost in the sound as the duo guides you along. Final Fantasy IV’s “Troian Beauty” has a similar atmosphere, but here AYAKI’s piano has a moment to shine as the saxophone drops out for period of time. It’s a gorgeous and pleasing opening to the album, but there are several different emotional beats yet to come. “The Streets of Whiterun” from Skyrim starts off familiarly with the sparse piano. 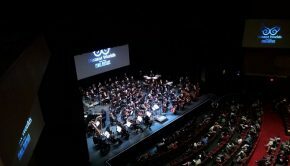 The grandeur of the original piece is gone in this arrangement, but it is made up for by an increased sense of history, tinged with sadness of the past but also paired with a hopeful eye on the future. The arrangement is very tender, and at times it has a bit of dramatic build as well. “The One Who Is Torn Apart” from Xenogears tugs at the heartstrings even more, with a low ambience held throughout on the lower tones of the piano, and a very atmospheric arrangement. “Courage Under Fire” from Shovel Knight is a very soulful arrangement, filled to the brim with emotion. Hibino’s handling of the central melody is very moving, and it is particularly haunting when the melody returns after the piano solo. “The Moon“ from DuckTales was originally a rather bright and upbeat track, but the duo goes a great job of making lullaby of it. It offers a brief reprieve from the sadder tracks that surround it, painting an interesting tranquil scene with its context of the moon. From there, the little-known “Scattering Blossoms” from Chrono Trigger leads back into emotional territory. Although mostly in the background, the sombre piano accompaniment really carries this track, being fairly minimal but effective. “Oath to Order” from Majora’s Mask is much more piano-centric than the other tracks, though Hibino does a great job when he finally comes in with some very raw notes. “Snake Eater” from Metal Gear Solid 3 is probably the least intuitive choice for the album, given the original epic spy-theme sound. Thankfully, as its original composer Hibino is the natural choice to convert the track into a soulful lullaby. It’s the most lounge-y of the tracks, with Hibino effortlessly taking the lead on the melody and giving a wonderfully moving performance. 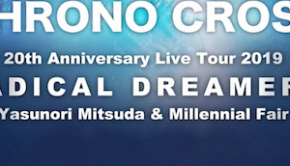 The final track of the album “Close Up” is an original composition, and in a bit of a departure from the rest of the album, the track is a duet between AYAKI on piano and Chikako Asai on cello. The arrangement is in a similar style to that of the rest of the album, but Asai’s rich cello provides a refreshing sound. The piece has a great drive to it, while still ultimately very soothing and beautiful. Perhaps it’s because I’m rather partial to the cello, but this track is easily one of the highlights for me, and the change of instrumentation makes me excited to see where this series might go next. 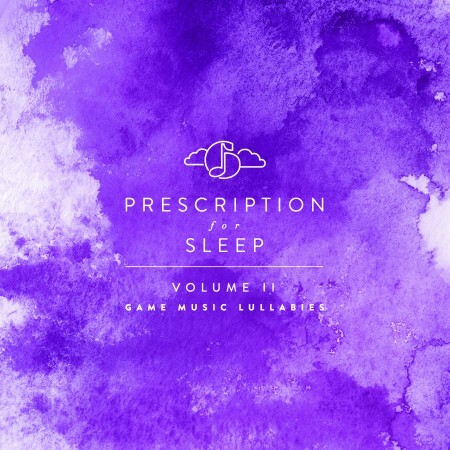 Prescription for Sleep: Game Music Lullabies Volume II is wonderful follow-up to last year’s great album. This second album is a bit less varied dynamically and stylistically, but this also makes the album significantly more appropriate not only for sleep, but also as background music for just about any activity. It makes this volume suitable for a greater range of moods, and I’ve found myself giving this album a listen almost everywhere. Although the concept is nearly identical to the first album, I haven’t yet found it tiring (or at least, not in a bad way), so this album is a welcome addition. The track list is also notable, again giving attention and justice to lesser-known tracks. Like the previous album, this one will get better with time as the listener becomes more familiar with the melodies and the elaborations that GENTLE LOVE makes on them. The inclusion of the cello on the original track is great, and it’s a direction I would love to see the team explore more in any future releases. Until then, we’ve got these two wonderful volumes of relaxing arrangements to enjoy. Posted on April 27, 2015 by Christopher Huynh. Last modified on January 19, 2016.